We create a mashup of space & style. We believe that your home should be an expression of who you are, & our focus is creating sophisticated spaces that allow our clients to live, relax & thrive. We see the pure potential of a space. We listen closely to what you want, how you live, & how the space needs to function. We can transform the space, fearlessly pushing the boundaries of good design. The Home Co. increases your property value through design and renovation. We work with both homeowners and investors to improve the aesthetics of a property to attain maximum return on investment. First Impressions Interior Design of Walnut Creek provides a wide range of interior design services, both for residential and commercial projects. A Hunter Douglas Priority Dealer. No single design element exists alone; creating harmony, beauty, function, our clients’ visions and our shared visions for them, is our passion. We strive to exceed your expectations. Kriste Michelini Interiors specializes in creating classic, modern interiors. We love to mix classic, timeless interiors with modern simplicity. We design well-edited spaces for our clients that are both beautiful as well as functional. Kriste Michelini formalized her design career in 2002, after three years in commercial real estate and 10 years in the software industry. She believes this corporate experience is a major benefit to her clients. She successfully controls deadlines and budgets with unbelievable organizational skills, and her greatest quality is her ability to listen to her clients needs and deliver beautiful results. She feels that these attributes are important to developing successful client relationships, which ultimately lead to creative and inspired design choices, and client satisfaction. 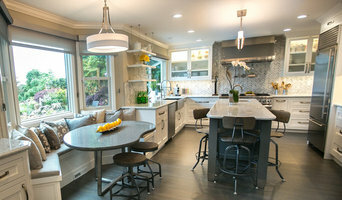 Her passion for interior design has gained her respect throughout the San Francisco Bay Area. A wife and mother of three young children, Kriste understands the need for your home to be functional as well as beautiful. She is a UCLA graduate. Combining my East Coast training and international travel experience with California’s fresh Pacific Rim aesthetic, I create homes that are dramatic, welcoming and fun. Steven Edward Wallace Design (formerly Steve Wallace Design) has been creating beautiful and livable interiors for over 25 years. Our portfolio includes restoration projects in the Hancock Park area of Los Angeles, 1930's art deco residences in the Hollywood Hills and Mid-Century modern desert living homes in Palm Springs. In the past 6 years we have moved from southern CA to the San Francisco Bay Area and completed major projects for Chevron Executives in Danville, a young family in Lafayette and a landmark building condo in the Marina District of San Francisco.. We are proud of our ability to take a client from conception to completion, be their liaison with workmen and contractors so their stress level is minimal and give them a home they love and love to show off! What if you could fall back in love with your house for a fraction of the cost of a fancy designer? What if a few new pieces, a fresh coat of paint, and the things you already have and love just need to be put together in a different way to create a room you’ll never want to leave? At Found Design that's what we do. We take your existing treasures, add some inexpensive touches, a new perspective, maybe a new coat of paint, and create magic! We specialize in rooms that are casual, comfortable, family-friendly spaces that are both livable and beautiful. Here's how it works...Found Design’s free 1 hour consultation allows us to meet you, see your space, and learn what a “dream room” would look like for you. We’ll want to get to know your style. What design magazines do you pick up and can't put down? What gives you "house envy"? From there we work our magic and create concept boards to capture the look and feel of your new space. Once we discover the design that’s perfect for you, the transformation really begins! We will be there every step of the way to ensure your new space is finished to perfection, on time, and within your budget. We know your house is your sanctuary. We want to make sure our designers create a space you will love day after day. The work of a professional can make all the difference. Whether your home has 10 bedrooms, or your apartment is 800 square feet, it can be tricky to create a cohesive look that is representative of your style. That's where a local Moraga interior designer comes in. A home decorator will help distill your tastes and ideas into a design that suits the needs of your space. Whether you need help creating a functional space plan, rearranging existing pieces, designing the inside of a new home, or simply sourcing amazing furniture and decor, seeking the help of professional interior designers and decorators in Moraga, CA is a must. A good home design professional will hone your style down to its very essence and be able to choose a functional layout that feels natural to you. Interior design companies can be involved as much or as little as the client desires. Many clients who hire an interior decorator in Moraga, CA — particularly those who are remodeling — have a good sense of how the room should look and what products they should use. Often clients will insist that interior decorators use the products already present in the house. Other times a designer will need to start from scratch — especially if this is a newly purchased or just-built home. An interior design company will need to figure out exactly what the client needs, which includes organizing rooms, picking flooring and wall colors, and finding furniture to complement it all. Sometimes that means he or she will have to recruit help from other Moraga, CA home professionals to help create the perfect look for your renovation. Here are some related professionals and vendors to complement the work of interior decorators: . Do your research before meeting with an interior designer or home decorator in Moraga, CA. Ask yourself what you want your space to become and what it will be used for. Figure out the extent of what you need help with, what your must-haves are and what your budget is. Interior design services can add up fast, so be up front with a potential design firm or individual from the beginning. Also, pick an interior decorator that fits your style. Browse through the portfolios of different Moraga interior design firms and decide if you would live in those houses. Just because you like something doesn’t mean you could live in it. There's a big difference! 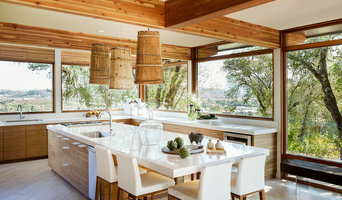 Find an interior designer or home decorator in Moraga, CA on Houzz. Narrow your search in the Professionals section to find Moraga interior designers near you. You can also look through Moraga, CA photos to find a room you like, then contact the design firm who designed it.